Anyone who’s looked into planning a trip to Argentina will be familiar with the huge range of ecosystems it has to offer, from the cool landscapes of Patagonia in the south to the dry desert in the north. Many travelers who come seeking outdoor recreation will immediately be attracted to the south, as Patagonia offers some of the most stunning scenery in the world. However, the country’s other regions should not be overlooked, and there are plenty of other Argentina eco activities on offer for those seeking for an alternative. Quebrada del Condorito National Park, located in the central northern province of Cordoba, was created in 1996 to protect the mating grounds of the Andean Condor. 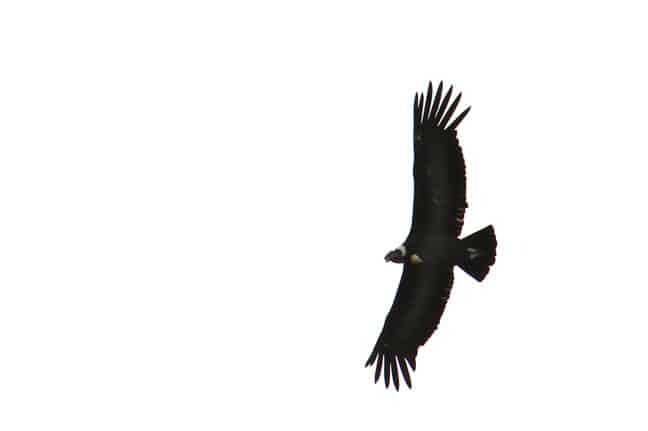 Classified in the vulture family and put on the Endangered Species list in 1970, this species has a wing span of up to 3 meters, with a mixture of black and while plumage. The birds prefer to live on steep cliffs, as their heavy bodies require plenty of wind to keep them gliding through the air, which makes Quebrada de Condorito a perfect place for them to nest and breed. The park itself is a mixture of thick grasses and rocky areas, and serves equally well for hiking day-trips as well as birdwatching. If you’re more interested in the latter, it’s recommended that you go early in the morning, as this is when most of the Andean condors take flight. Anything that can couple outdoor recreation with fine wine is a winner in my book, which is why I loved the province of Mendoza. 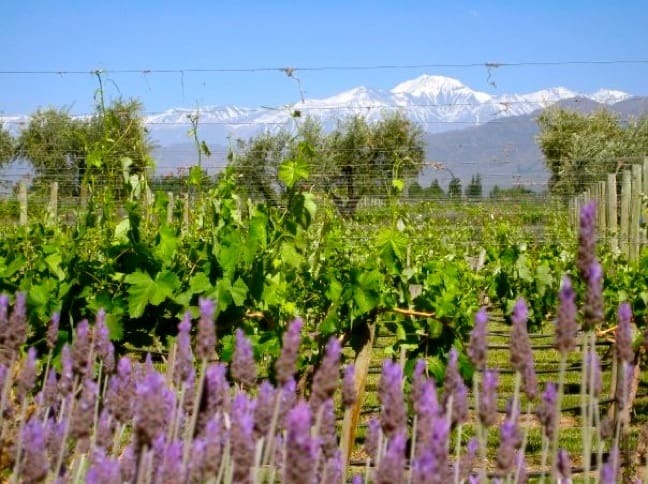 Famed as the wine capital of Argentina, Mendoza attracts tourists all year round to try out various wines from the region. Going down a tree-lined road just outside the city, you’ll find bodega after bodega where you can sample wine. The most popular way to visit them all is by bike, either via a private tour or by renting a bike yourself and choosing which bodegas to visit at your own leisurely pace. Just remember, the further down the road you get, the more wine you’ll try, which might make the cycle back a little more perilous. Cycle with caution! Most people visiting South America are familiar with the salt flats in Bolivia, which attract thousands of tourists every year. But there are plenty of other areas with equally stunning salt flats. The Salinas Grandes, in the province of Jujuy (located in the far north of Argentina), are a worthy alternative . 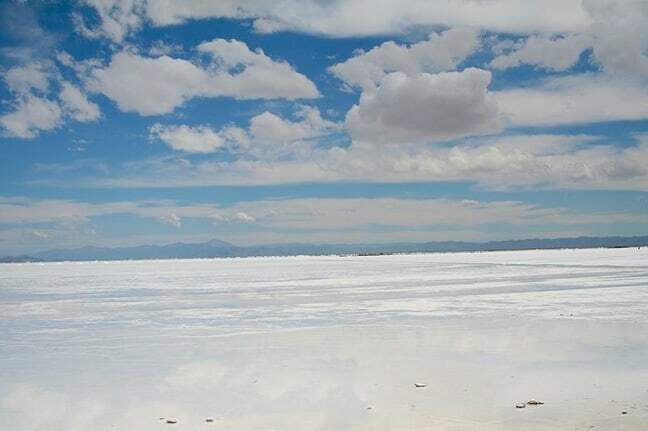 The Salinas Grandes feature over 12,000 hectares of salt, giving them a bright, shimmering white appearance that provides a striking contrast to the clear blue skies above. They’re located 190km away from the town of San Salvador, but most hotels in the area will be able to advise you on organized tours you can take. 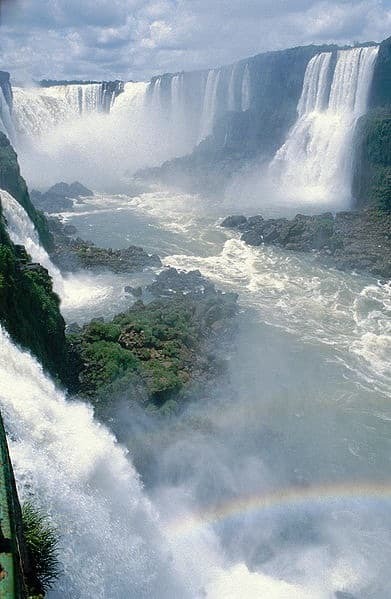 Iguazo Falls is probably the most visited site in Argentina, outside of Patagonia. This UNESCO World Heritage site is located in the northeast corner of the country, and a popular crossing point for travellers between Argentina and Brazil. Local legend has it that the waterfalls were put there by a jealous god, who ripped apart the river to drown a woman he was planning to marry, along with her lover, as they sailed away in a canoe. There are dozens of different trails and lookout points on both the Argentinian and Brazilian side that provide exceptional views, as well as walkways that take you closer to the bottom and inflatable boat tours that will take you right under the falls. But bring a waterproof jacket, because you’re DEFINITELY going to get wet! 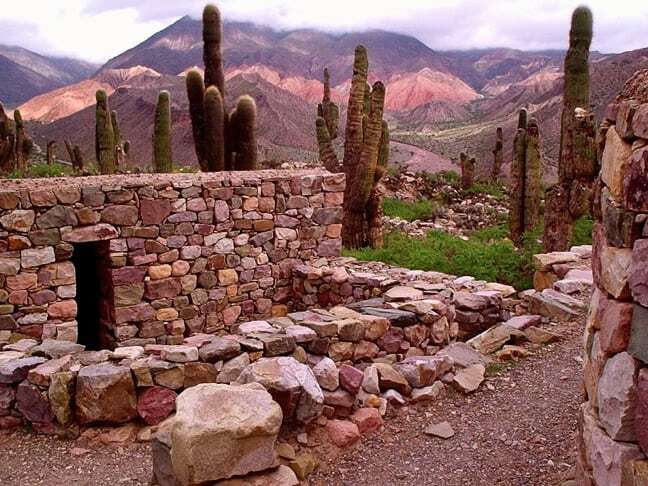 The Quebrada de Humahuaca is a stretch of valleys and mountains in the province of Jujuy, located in the north of Argentina. This region was recently announced as a UNESCO World Heritage site due to its links with the Inca Empire and historical role as a crucial passage for the transport of people and ideas down through South America. The valley has 26 rock art sites for visitors to explore, giving you a glimpse of the ancient indigenous culture. The mountains are multi-colored, with vegetation growing more sparsely the higher up you go, gradually running from grey to terracotta. The Carro de los Siete Colores (Hill of Seven Colors) is one of the most famous sites in the area: Different mineral formations have given the hill its name and fame, creating a layer cake effect of colors ranging from burnt oranges to pewter grays and purples.